We offer custom printed tile flooring that always makes an impact on crowds. 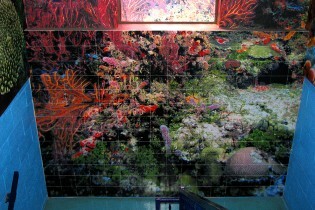 We have the expertise and use the most innovative technology to produce tiles with amazing color and striking detail. Whether you are looking for permanent installation or a temporary solution for a special event, we have options available to perfectly fit your needs. • Printing: Vibrant rich colors using an advanced printing process known as dye-sublimation. Process allows accurate color matching by first printing a white ink layer to the tile, then printing the image on top of the white.